By studying the effects of infectious diseases and developing effective treatments, by producing novel and sustainable fish diets, by improving environmental sustainability, and by determining the effects of climate change on fish health, this research will improve the resilience and global competitiveness of the Canadian aquaculture industry. The goal of aquaculture in the marine environment is to add farmed animals to a natural ecosystem, while maintaining ecosystem health. To achieve this, management of aquaculture requires sustainable practices that are effective in a dynamic and challenging ocean environment where water quality, climate effects and the risk of disease are not completely controlled. In this program, researchers will work with industry partners to improve practices and examine fish health and resiliency. New approaches to enhance productivity will also be developed. Develop sustainable and therapeutic diets for Atlantic salmon, including plant-based sources of feed that will enable the industry to reduce its reliance on fish meal and oil. Understand and mitigate the effects of pathogens and climate change on fish health. This research will examine the capacity of Atlantic salmon to tolerate low oxygen and higher than normal temperatures, and to identify how their physiology, immunology and disease resistance are affected. Develop sustainable control measures for pathogens of cultured fishes. This research includes the development of efficient and sustainable methods to control parasites and pathogens. 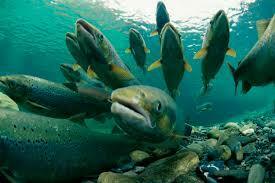 Lessen the impact of aquaculture on the environment and on wild fish populations. Key aspects to be investigated include aquaculture escapes, the response of wild fish communities to cage sites, impacts of aquaculture on the seafloor ecosystem, and waste management/bioprocessing (primarily shell and fish carcasses). Identify alternative aquaculture species to diversify Canada’s already strong aquaculture industry. This research will initially examine two candidate species that have been identified as having significant market potential: sablefish and sea cucumber. Losses to the global aquaculture industry due to infectious diseases are estimated by the United Nation's Food and Agriculture Organization at approximately US$6 billion annually. This research will help improve the productivity and global competitiveness of Canada’s aquaculture industry, particularly the production of Atlantic salmon, Canada’s main aquaculture species. Ian Fleming of Memorial University of Newfoundland (lead of component 4).